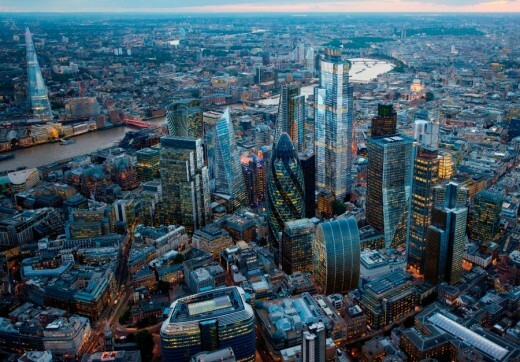 The latest building proposal for the City of London is titled 1 Leadenhall. The 37-storey tower is located just north west of historic Leadenhall Market. 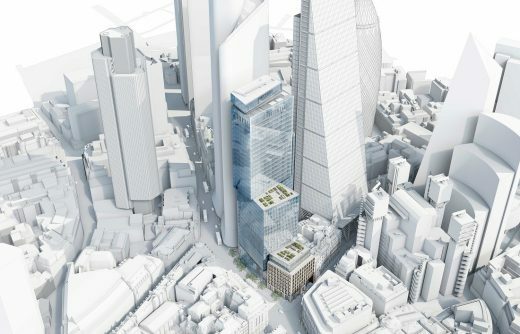 It is on the corner of Leadenhall Street and Bishopsgate. The tower is dwarfed by the recent Cheesegrater and the soon-to-arrive 22 Bishopsgate. 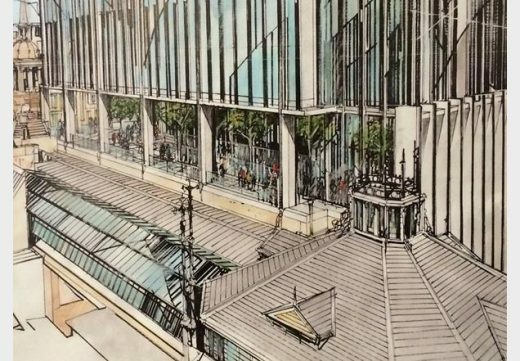 The building will contain a free public viewing gallery, allowing visitors to look down onto the roof of Leadenhall Market. Construction will require demolition of this existing Postmodern low-rise building on the corner of Leadenhall Street and Gracechurch Street. 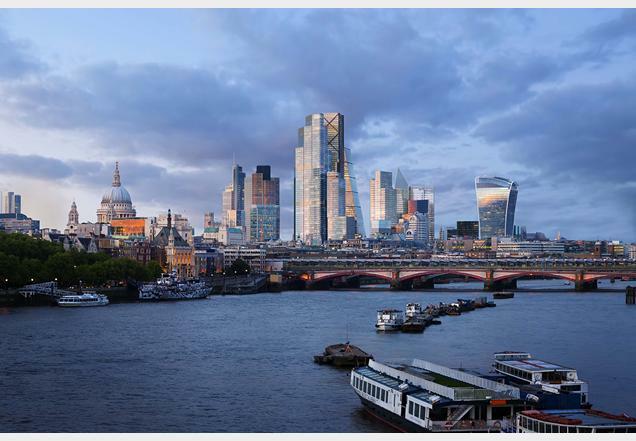 1 Leadenhall has yet to be submitted for planning permission, but a submission is expected in early August. A public consultation exhibition about the skyscraper is on at St Ethelburga’s Church, 78 Bishopsgate, London, EC2N 4AG, from Monday 20th June – Wednesday 22nd June, noon till 8pm. 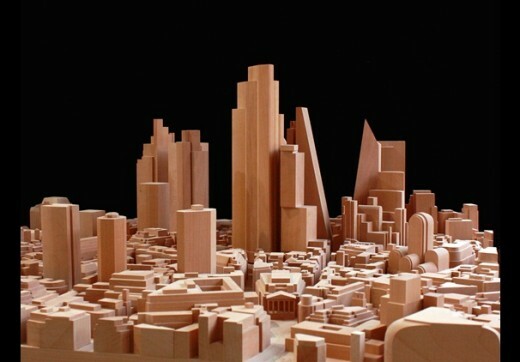 The site is on top of the ancient Roman Forum, the biggest building in Londinium. 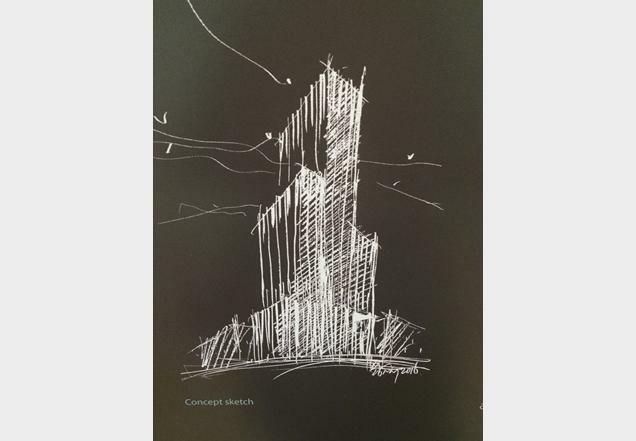 Work could begin on the 65,000sqm project as early as 2018. Ken Shuttleworth is design lead for the project. 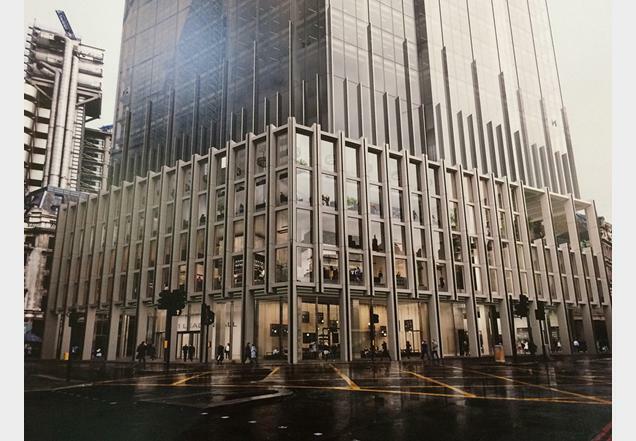 The building will contain 50,000sq m of office space above 4,700sq m of retail on the first three floors. There will also be a 900sq m public terrace with winter garden. 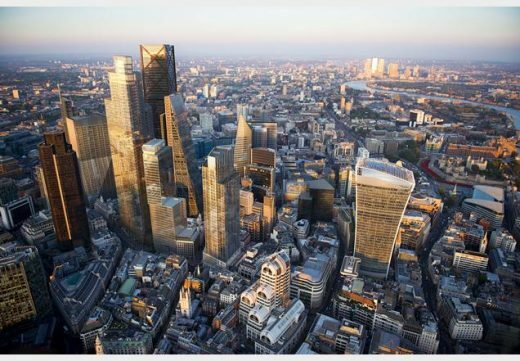 Amazon occupies the current building, Leadenhall Court, but will vacate the premises at the end of 2017 when it moves to Foster + Partners’ Principal Place at the northern end of Bishopsgate. Demolition and main construction work should take up to three years. 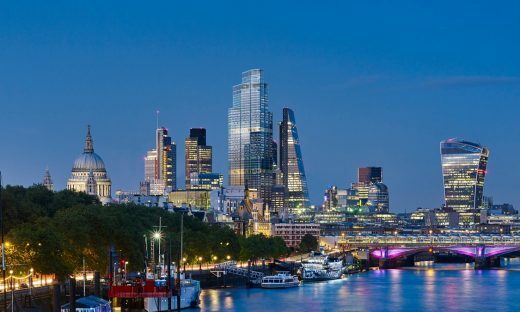 7 Apr 2016 – The City of London intervened to block a right to light claim which could have stalled plans for what would be the City’s tallest tower, 22 Bishopsgate.